Having all the mateys over for an Octonaut Party? We’ve got you covered. Step 1. – Trim the teeth off the bunny nose. Step 2. Paint the bunny nose light tan and the nose pink. Set aside to dry. Step 3. Paint the bowl turquoise. If the bowl you are using is clear, you might want to spray paint or paint it white first, it will look nicer when it’s finished. Step 4. 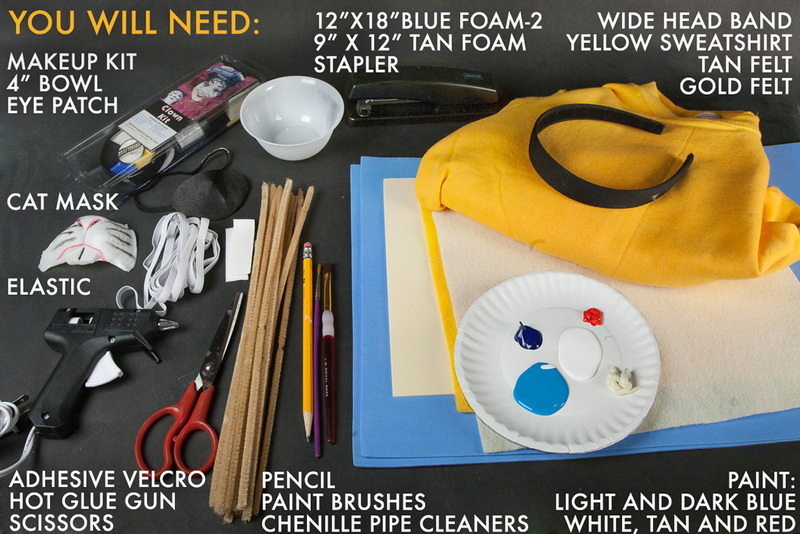 Print, cut and trace the templates onto a sheet of blue foam- hat, collar, boots. Step 5. Turn the bowl upside down. Gently wrap the template for the hat band around the rim of the bowl, to form the brim of the hat. Use the hot blue to secure the band as you are wrapping, this will make it easier. The template was designed for a bowl with a 4” opening, if your bowl is slightly larger or smaller you may have to adjust your band. Step 6. 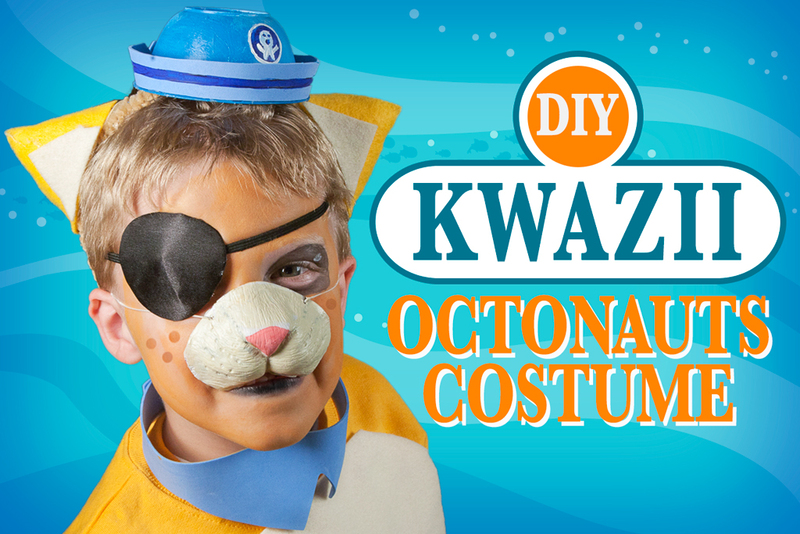 Paint a dark blue stripe around the hat brim and the Octonauts logo on the hat. Set aside to dry while you complete the other pieces. Step 7. Add the adhesive Velcro to the ends of the neck band. Step 8. TO MAKE THE BOOTS– place the front and middle pieces together, so that the center tab is overlapping the front piece, as shown in the picture. Hot glue the tab. Step 9. Have the shoe that will be worn with the costume to use as a guide. Place the front of the boot up and curve the sides down around the shoe, as shown, to start forming the boot. Hot glue the tabs to hold the sides in place. Step 10. Place the top part over the boot. Adjust the placement and trim the sides as needed to fit the shoe. Hot glue the pieces together. Step 11. Staple elastic pieces to the boot, near the bottom and top. If you can, have your child put on the shoes and measure the elastic to fit them. Step 12. Repeat steps 8-11 to create the 2nd boot. Step 13. MAKING THE HEAD PIECE- Start tightly wrapping the fuzzy sticks around the headband. Step 14. Continue wrapping until the Headband is completely covered. 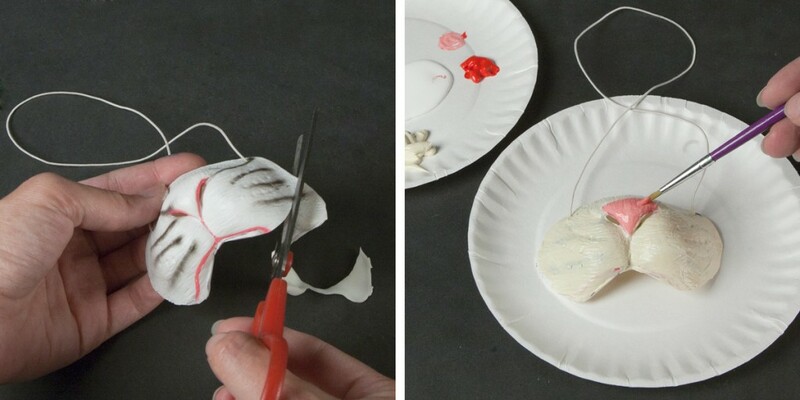 They should hold pretty tightly, so you won’t need to add any glue. Step 15. Cut 2 rectangle from the tan foam, approximately 2” x 4”. Step 16. Fold the short sides of the rectangle to the middle to form a triangle ear, do not flatten it. Hot glue it together. Step 17. Hot glue the ear to the head band. Make sure to place the ear more to the side, to allow room for the hat. Step 18. Cut pieces of yellow and light brown felt to cover the foam ear. Step 19. Repeat steps 16-18 to make another ear. Hot glue the 2nd ear and the hat to the headband. Have your child wear kahki pants, and an orange sweatshirt. You can use the adhesive velcro to attach the leftover piece of light brown felt to the sweatshirt as a belly piece. 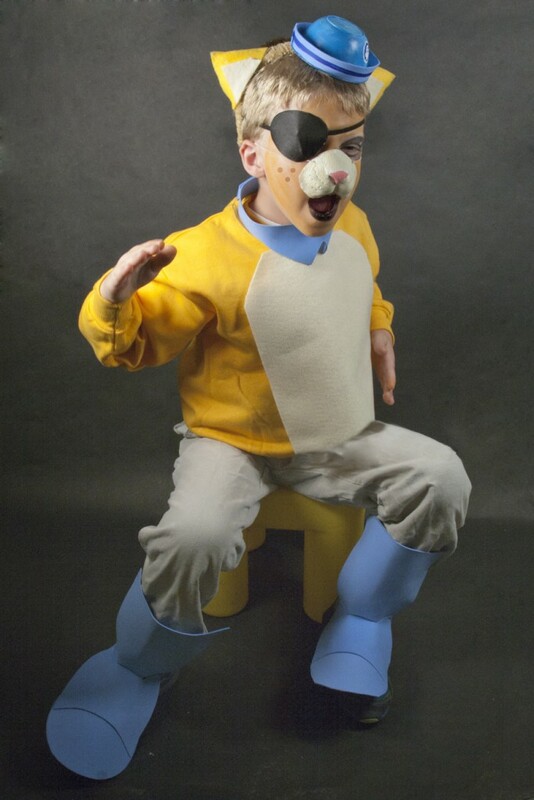 Finish the costume with face paint, the eye patch, and the painted bunny nose. Show us your version of this costume on Facebook, Twitter or Instagram. Here’s a quick guide we made for Pinterest.